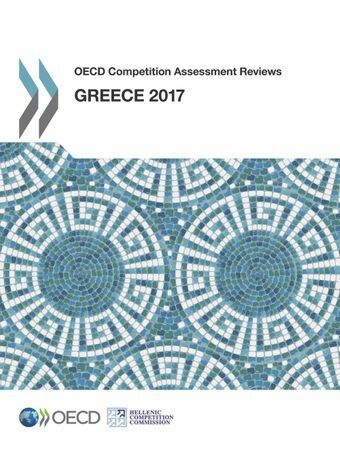 This report analyses Greek legislation in a number of sectors and identifies about 350 legal provisions which could be removed or amended to lift regulatory barriers to competition. The work undertaken in the project has involved the review of over 1 200 pieces of legislation in these sectors of the economy, using the OECD Competition Assessment Toolkit. The analysis of the legislation and of the Greek sectors has been complemented by research into international experience and consultation with stakeholders from the public and private sectors. The OECD has developed recommendations to remove or modify the provisions in order to be less restrictive for suppliers and consumers, while still achieving Greek policy makers’ initial objectives. If these recommendations are implemented, benefits to consumers in Greece and to the Greek economy should arise in all sectors. Throughout this report, the authors identify the sources of those benefits and, where possible, provide quantitative estimates. 7 November 2016 - In 2016, the OECD carried out an independent policy assessment to identify rules and regulations that may hinder the efficient functioning of markets in 5 sectors of the Greek economy: construction, media, wholesale trade, e-commerce and manufacturing sub-sectors (such as chemicals, pharmaceuticals). The project team reviewed 1288 pieces of legislations and identified 577 potential restrictions to competition in the sectors examined. A total of 356 recommendations were made and, if applied, could have a positive impact on the Greek economy of around 414 million euros. OECD Deputy SG Rintaro Tamaki and Mr George Stathakis, former Greek Minister of Economy, current Minister of Environment and Energy, were present at the launch event in Athens. >> Read more about the project.